Measurement microphones can help us see audio interactions at multiple places at once, in an objective manner, and inform our sound system design and tuning actions. The first step in capturing good data with a measurement microphone is placement. The trick to good placement is mimicking the listening experience during the show, not just during the sound check. Choosing the right microphone height can help you do this. 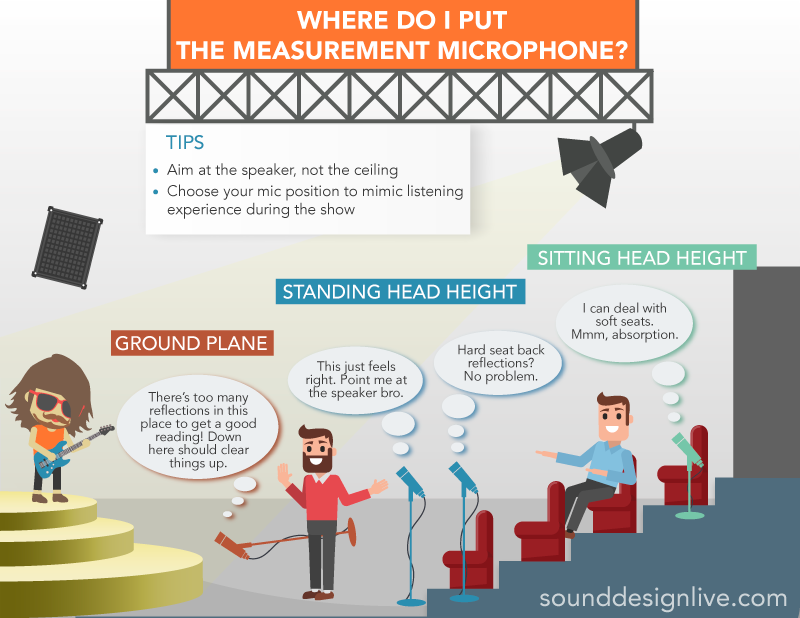 Take a look at the infographic and video below for some of the most important tips in placing your measurement microphone. Where do I put the measurement microphone is one of the most common questions I get about sound system tuning. Start with standing head height since it is the most common. If you are unable to get a decent measurement due to floor reflections and those floor reflections won’t be present during the show because the room will fill up with people, then try a ground plane measurement. If you are unable to get a decent measurement because standing head height would be too high (eg. frontfills) and the seat backs are soft, try a seated head height. Try these different placements out for yourself. What are your results? Do you think they better represent the show time listening experience? Did they help with your design and tuning? For more on building great sound systems, sign up for Nathan’s free e-course: Intro to Sound System Tuning at Sound Design Live. 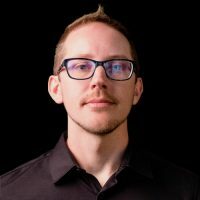 Nathan Lively is the founder of Sound Design Live, host of the Sound Design Live podcast ​and​ author of Sound Design Live: Build Your Career as a Sound Engineer. ​He's toured nationally with the Ringling Bros. and Barnum & Bailey Circus, and internationally with the Portuguese group, O'QueStrada.